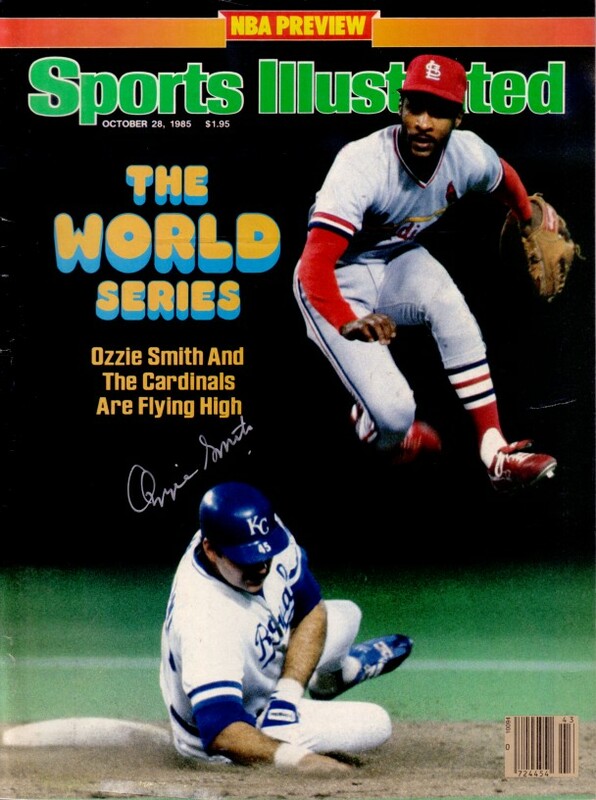 Complete 1985 World Series Sports Illustrated autographed in thin silver paint by St. Louis Cardinals Hall of Fame shortstop Ozzie Smith. NOTE: cover has small (1 1/2 centimeter) scratch above Ozzie's left shoe; still suitable for framing. NO LABEL. With certificate of authenticity from AutographsForSale.com. ONLY ONE AVAILABLE FOR SALE.